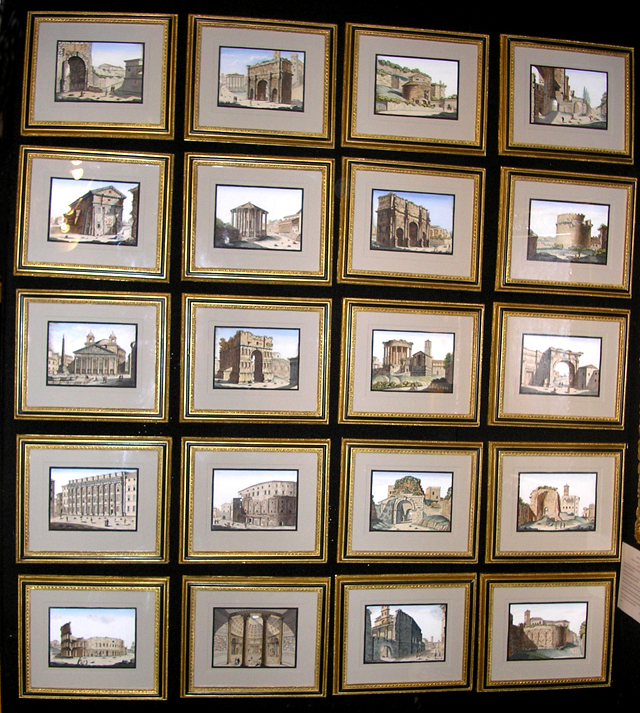 A set of twenty pen and ink and gouache paintings, formerly in the Grand Tour Album of Mrs Margaret Honey, wife of Reverend Honey, Archdeacon of Sarum (Wiltshire). 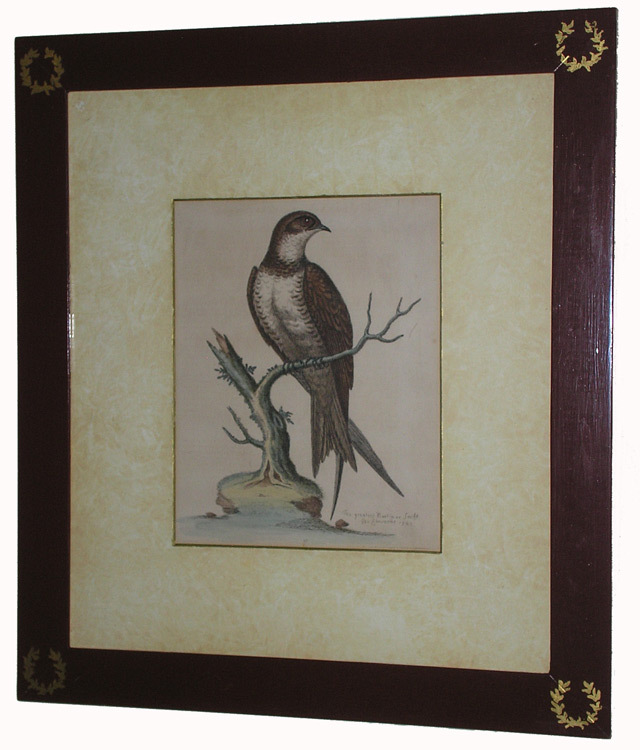 From facts known about Mrs Honey's life and the dress of tourists depicted in the paintings it seems that they were produced c 1830-1840. 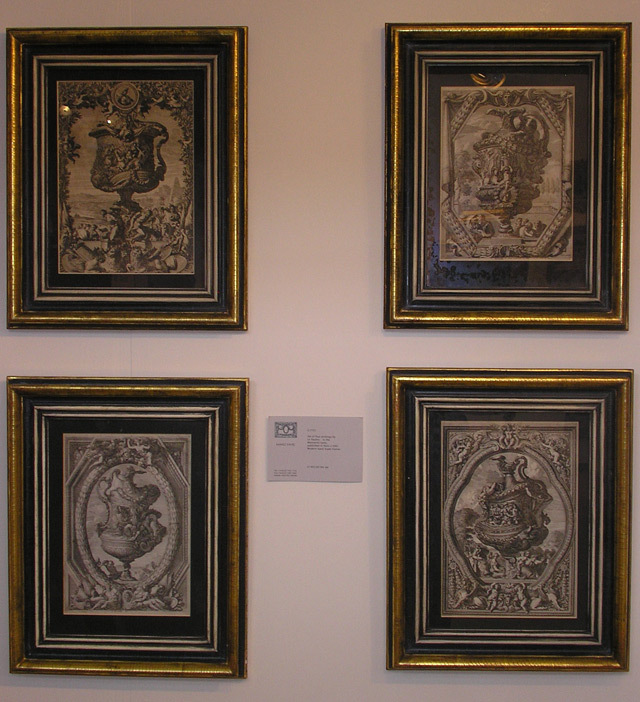 Set of four etchings by Le Paultre, in the mannerist taste. 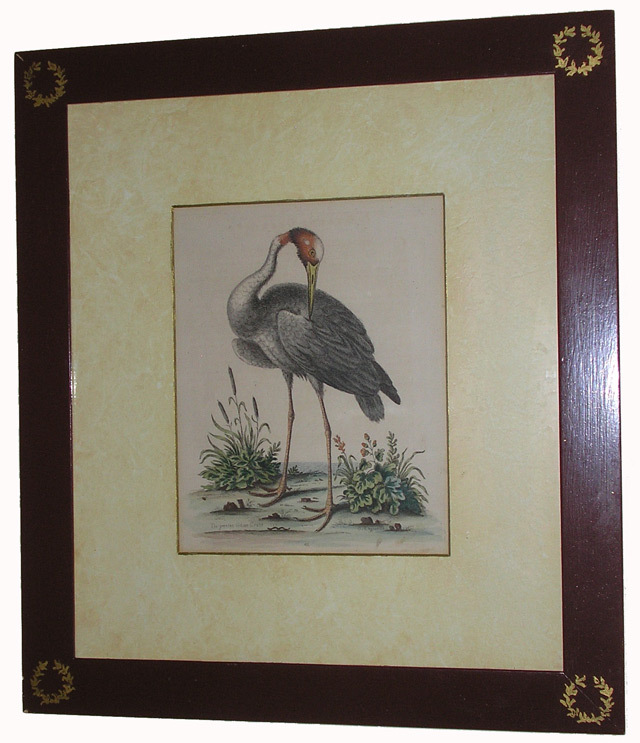 "The greatest Martin or Swift"
and showing "The Greater Indian Crane"